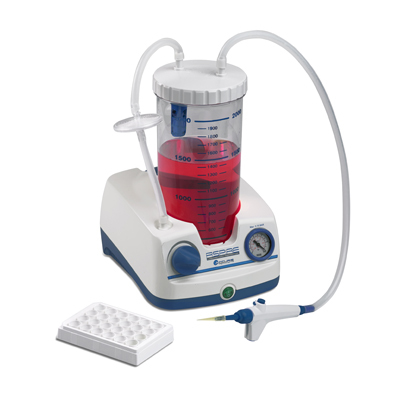 The Accuris ASPIRE Laboratory Aspirator incorporates a quiet, maintenance-free pump inside a sturdy, yet compact base. The vacuum pressure is fully adjustable, with a conveniently located pressure gauge that displays the vacuum level at all times. Max. Aspiration: 14ml / sec. Max. Flow: 15L / min. 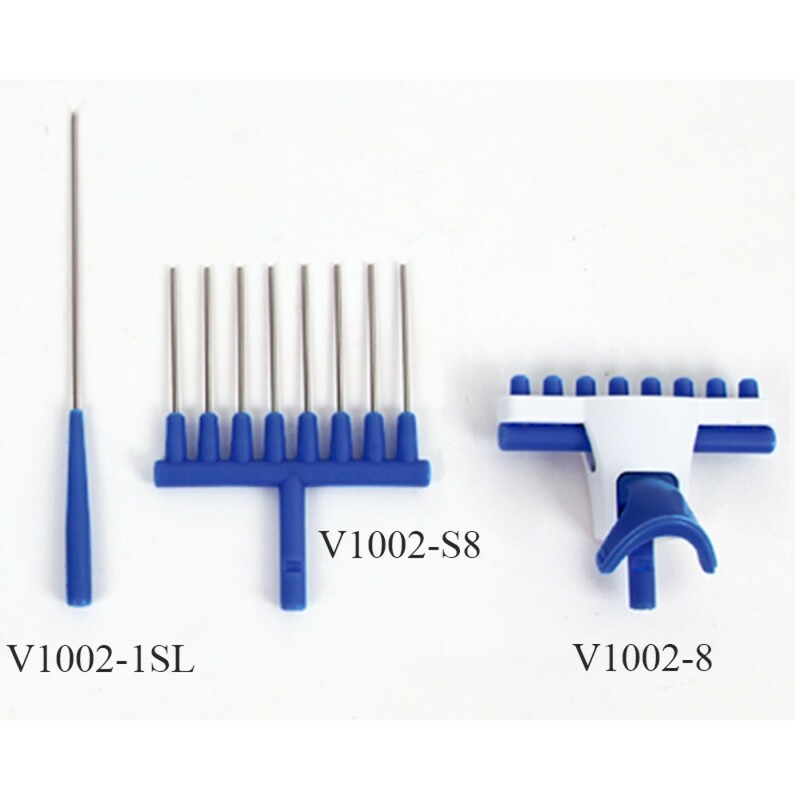 The ASPIRE is an ideal choice for a wide range of laboratory aspirating applications, including removal of media from tissue culture vessels or plates, and supernatants. 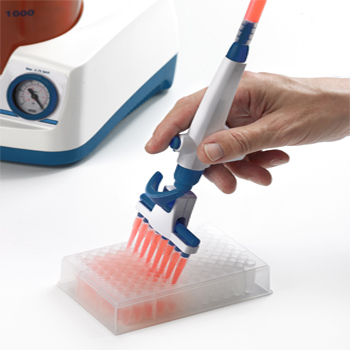 An ergonomic, hand held controller is included, and holds standard 200 to 300ul disposable pipette tips. 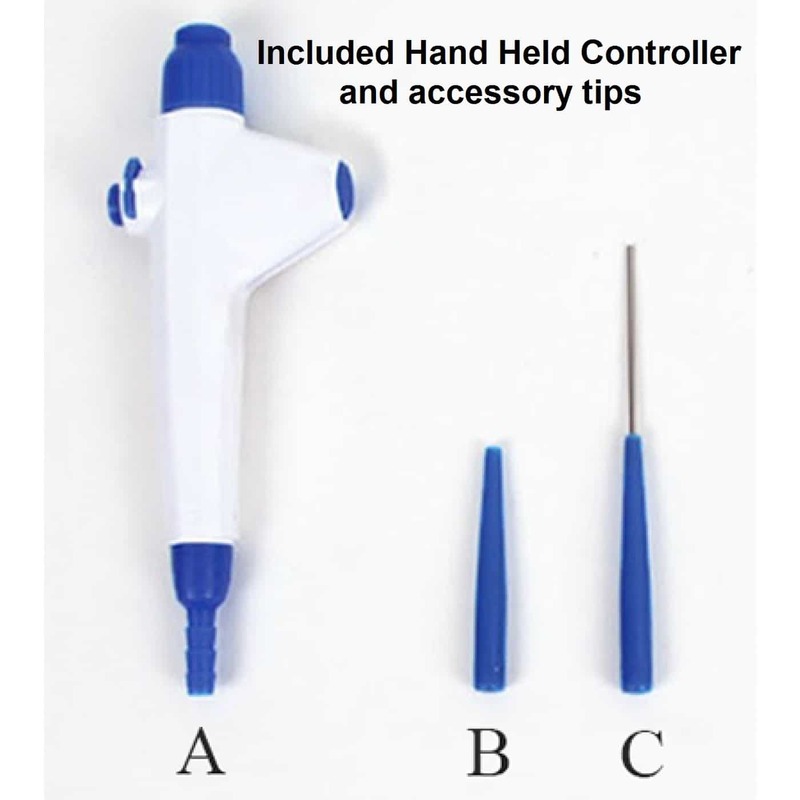 The hand held controller, and adapters are made of POM (Polyoxymethylene), and fully autoclavable. The Polycarbonate collection bottle incorporates a reliable Overflow Protection Valve that closes off the tube to the vacuum in the event of a full bottle. In addition, the replaceable in-line filter protects the vacuum pump from contaminants and any moisture that comes through the bottle. Graduations on the collection bottle indicate the amount of fluid collected and when it’s ready to be emptied. 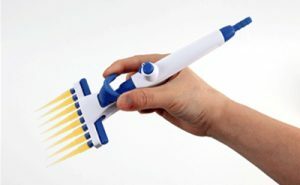 The Handheld Vacuum Controller has an ergonomic design that’s comfortable in the hand during prolonged use. Pressing the button applies the vacuum. 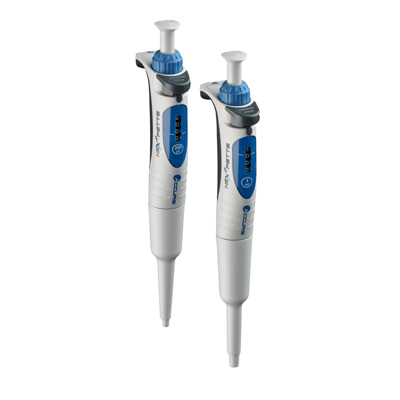 The pipette accepts Pasteur pipettes, serological pipettes, and also comes with 2 accessory pipette cones. 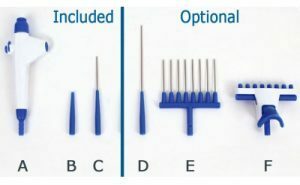 One cone is designed to accommodate 200/300ul pipette tips, the other has a thin, stainless steel capillary for fine control aspirating. * for 230V input, add -E to the end of the item number.